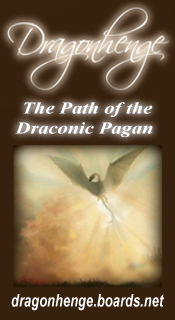 The Dragon Power Symbol is a symbol of ‘empowerment’ in Transference Healing®. It revitalises the power centre to enable the body to energetically re-nourish and heal. It also protects us against direct psychic attack and counteracts negative feelings or projections against us. It supports us to overcome the limitations of the ego and connect to ‘Divine Will’. 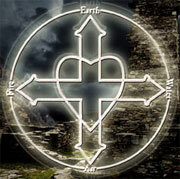 It is the lost symbol or key to the Elemental Kingdoms of the Dragon. Note: The content of this channelling has been sourced from Chapter 11 of the Beyond Doorways and the Animal Magic Book and Card Set both by Alexis Cartwright 2005, for more information go to these sources. Dragon Power is a technique in Transference Healing®. At this vital time of transition to a fifth dimensional frequency negativity is being released on a global level. We are going through a state of initiation so we can begin to self-heal dormant weaknesses that have restricted our sense of self-empowerment. The key is to own the Power of the Dragon within. Dragon Power gives us the energetic resources, on all levels, to begin to heal ourselves so we can deal with difficult times and situations by counteracting all kinds of negativity. It helps us counteract and master fear, personal limitation and negativity and through this process, learn to hold our light on a day-to-day level. ‘Holding our light’ means we are anchoring and sustaining the light thereby creating an electromagnetic field or shield to protect us at all times. Dragon Power is the most profound power source held on the planet. Past Ascended Masters understood and ran this transformative energy at times of initiation, drawing on the elements to protect them. Through this power they accessed sacred information and assistance for others, for example, Moses parting the water for the Israelites as they fled from Egypt and Jesus walking on water to illustrate the power of Divine Will. St. Germaine manifested this power. He mastered the teachings of transmutation and transformation by channelling and anchoring the power of the Violet Flame. He then revealed this power to others so they could master it within themselves, to understand the power of Divine Light. Dragon Power opens the heart, chakras and pranic centres to absorb chi energy and transmit it to all cells, living tissue and organs in the body in order to revitalise and heal the body and its consciousness. Dragon Power revitalises and transmutes diseased cells, creating a natural cellular rejuvenation process, which not only begins an anti-ageing process, but also transmutes and clears cancer cells from the body (see below “Energetic depletion and its symptoms”). This energy revitalises your power centre to enable you to counteract negative, electromagnetic and cosmic energies resulting from the Earth changes. It also protects against psychic attack. Dragon Power not only clears your power centre but also creates a purification and perfection process of your ego and intent. When you master within yourself and release wounding within the ego, you can connect more to Divine Will and therefore become empowered more naturally. You can also shift into a more Divine level of consciousness where you receive ‘power’, the insight to deal with power issues and the knowledge of how to use power in a constructive and positive way. Divine Will helps you to develop your spiritual gifts and abilities and enables you to ‘hold your light’ in any situation. Dragon Power energetically heals or spiritually and emotionally supports sensitive, intuitive or psychic people who are being generally depleted by leaking energy to others. It also revitalises your power centre when you are being energetically drained or depleted by channelling, by healing negative projections and energy plays or by the Earth and cosmic changes occurring at this time. When you start to master your power centre and show unique and more Divine attributes, people around you are sometimes confronted and out of general ignorance and fear, have conflicting feelings and judgement towards you. Dragon Power protects against direct psychic attack and also counteracts negative feelings or thought projections against you. Dragon Power also gives you the resources to know how to make the necessary changes to embody an initiation process ordained by the Ascended Masters, angels or guides. Often this process causes you to feel overwhelmed, unclear, confused and uncertain of your future or what you want. Dragon Power will help you create more wellness and clarity in your life. If you are not working effectively with your Dragon Power and/or your “feeling vortex” is open (see “The Feeling Vortex” below for more details and view page 160 of Beyond Doorways) and you are being energetically depleted, electromagnetic light becomes deficient in our body. This affects your cellular body and glandular system. If you become depleted on a deeper level, your etheric body becomes weak and you do not have the reserves of energy needed to counteract symptoms and diseases. Consequently, there are not enough resources from the etheric body to revitalise your electromagnetic body, which creates even more distortion through the cellular and glandular system. Various symptoms then begin to manifest more rapidly such as viruses, genetic weakness and in some extreme cases even cancer. Cancer physically manifests because we cannot therapeutically sustain enough electromagnetic light within the body to allow the cells to rapidly change by absorbing the necessary hormonal secretions for the cellular body to rejuvenate more effectively. 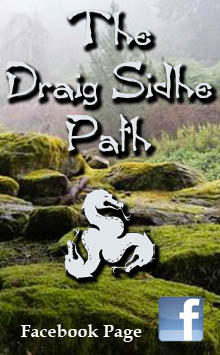 The Dragon Power technique can be utilised to assist sufferers to counteract and transmute pain and disease from their etheric/physical body and consciousness, while also creating a rapid cellular rejuvenation process. Self-worth is the last hurdle to overcome before coming into a state of oneness by mastering all limitations within the self. Suppressed or painful memories of times of abuse and persecution stored within our DNA have caused us to become disempowered to such an extent that we have lost some of our instinctive and intuitive abilities and weakened the energetic resources within our etheric body. As you learn to raise your own Dragon Power and manage your own inner forces, you can begin to master the ego and intent. Through this process your innate abilities and spiritual ‘gifts and talents’ will begin to manifest, enabling you to heal yourself by releasing hidden and built up pain from your heart chakra, sub-conscious mind and deeper energetic levels of the etheric/physical body. You begin to transmute negativity for physical, mental and emotional purification, your inner-self then strengthens. You will create a new level of empowerment for yourself in your day-to-day life. From that point on you will have the instinctual ability to raise your power to master any situation on a similar level. 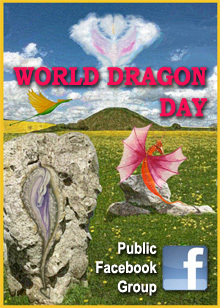 On a global level a purer world is created as people raise their Dragon Power. 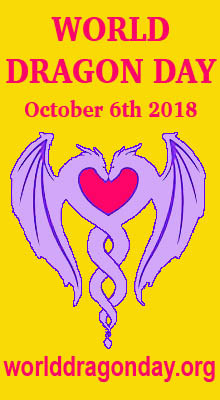 You can access the Dragon Power technique by receiving a Transference Healing® or working with the Transference Healing® Lightbody Kit® Dragon Power Essence which is very effective and for many of us is always kept on hand. 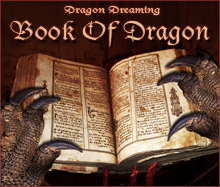 Additionally, a simple procedure to raise your Dragon Power is explained at page 367-368 of the Beyond Doorways book. A separate procedure is taught in the Fundamental Level training for use by practitioners. You are purifying your body and soul, perfecting the intent of the ego and connecting to the Higher Self and Over Soul. You can then access Divine Will, one of the most vital keys to self-healing; you can develop your psychic abilities and complete a mastership process to achieve ascension. You begin to understand and attune your body and consciousness to the crystallised ley lines or Earth’s magnetic gridding to access ancient information at sacred sites and to create the Lightbody. You can also begin to shift into Divine consciousness to connect to Ascended Masters for energetic support and insight. You can also enter ‘hidden’ gateways or Doorways into sacred realms to connect to the inter-dimensional realities of the ‘galactic’ beings, and also the sacred and magical realms of the elemental beings. You have passed through different stages of spiritual initiation giving you the ability to connect to the realties, magical properties, powers and knowledge of the sacred realms of the 13th Gateway of Orion. These are the most sacred realms of all. The feeling vortex generates and vibrationally weaves energy throughout the whole etheric body. It is vital to work with the feeling vortex at this time. It has many dimensions within it and is very complex by nature. The area of the feeling vortex lies beneath and around the whole naval and solar plexus area. It can create a depletion process by leaking energy from the etheric body. This creates a feeling of depletion and prevents a natural ‘resourcing’ process which is needed to rejuvenate the cells and anatomy of the body. Distorted energies filtering through and into the body from the environment. Distortion in the electromagnetic field of the body created by negative ‘ultra violet rays’ filtering through and into the body because of the intense cosmic flare activity occurring at this time. 3. Energy ‘hook-ins’ or plays also impact us more. If the feeling vortex has been open for a long time and we have been constantly affected in ways mentioned above, then strange imbalances can begin to manifest more within the electromagnetic field of the body which can create more severe and even ‘bizarre’ lightbody symptoms, through to such deep levels of depletion that even cancer cells can begin to etherically manifest. Closing down the feeling vortex will immediately begin to heal or even prevent these more severe symptoms from manifesting. 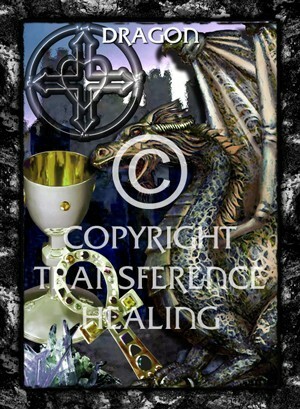 The articles, channellings, and teachings, appearing on this website (www.transferencehealing.com) are copyright works. You may download, display, print and reproduce this material in unaltered form only, retaining an acknowledgement of the author on the material used. It may be used in this way ONLY for your personal, non-commercial use, (not within your business or organisation). Apart from any use permitted under The Copyright Act 1968, all other rights are reserved. 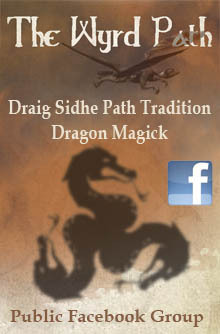 This entry was posted in Awakening, Channelled messages, Dragon Energy Healing, Reiki etc and tagged Dragon Power.